2" head pins, gunmetal plated brass, 22 gauge. 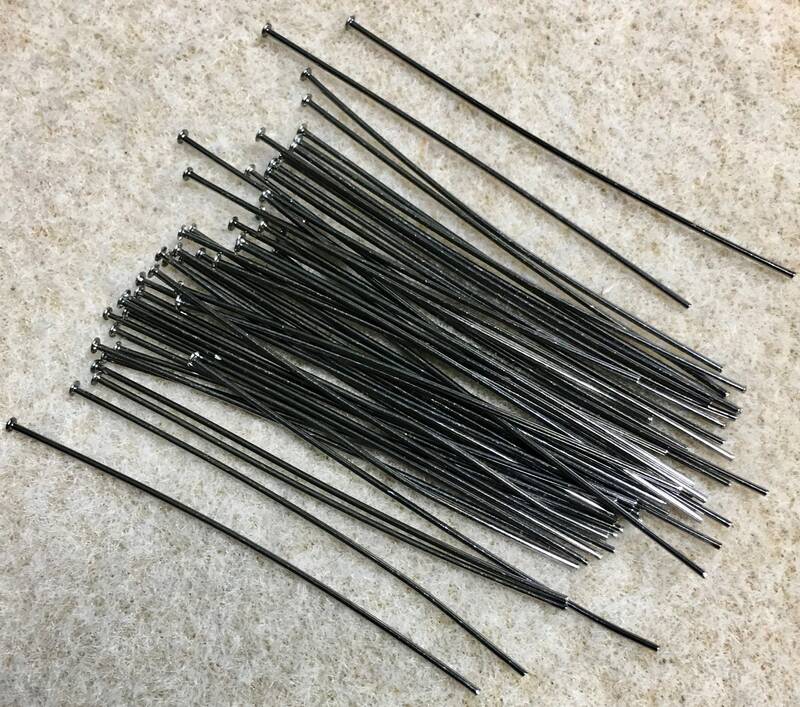 You will receive 50 headpins. Nice quality. Pins may not be completely straight but can easily be straightened as you work with them. Made in the USA - lead and nickel free. A jewelry maker's necessity! Extremely fast shipping and exactly what I wanted!